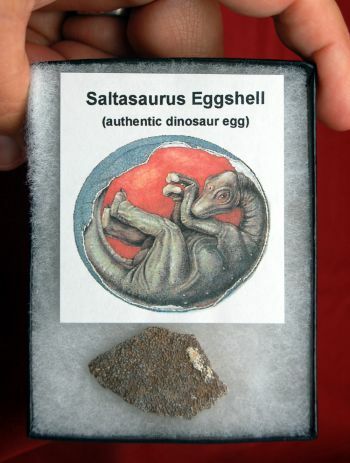 Imagine the awe of holding and owning a piece of an actual dinosaur egg. Every fossil is one of a kind, unique. 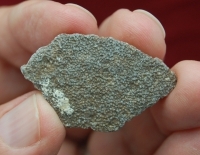 Your authentic fossil will be similar the one shown in the photos. They vary in size from 1 to 2 inches wide. If you are not completely satisfied with your specimen you can return it for a full refund minus the shipping charges. 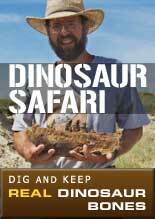 Your authentic fossil specimen comes in a 4.25 x 3.25 inch Riker display case. Riker display cases have been the gold standard for fossil and collectable displays and protection for decades. The case is constructed of fine fiberboard with a glass top that can be removed just be taking out a couple of long heavy duty straight pins. 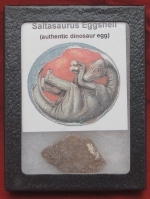 These photos are examples of our authentic Dinosaur Eggshell pieces. 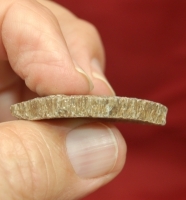 We guarantee your piece will be very similar and 1 to 2 inches across each and about a quarter inch thick. The curve of the shell is easy to see, as is the structure of the eggshell. These dinosaur egg shells come from South America and probably are from a medium size titanosaur sauropod that lived during the late Cretaceous, about 70 million years ago. Whole eggs are very rare and about 4-5 inches in diameter. As titanosaurs go, the South American Saltasaurus was the runt of the litter--this dinosaur only weighed about 10 tons, compared to 50 or 100 tons for more famous sauropod cousins like Diplodocus or Argentinosaurus. (The titanosaurs were offshoots of the classic sauropods of the late Jurassic period, and are technically included under the sauropod umbrella.) This weight difference can be explained by Saltosaurus' relatively streamlined build compared to its huge, squat cousins. However, what really set Saltasaurus apart from the pack was the bony armor lining its back--an adaptation that caused paleontologists to initially mistake this dinosaur's remains for those of Ankylosaurus. Clearly, this slim herbivore attracted the notice of the numerous tyrannosaurs and raptors of the late Cretaceous period, and its back plates evolved as a much-needed form of defense.